" BALINESE HOSPITALITY and WE SERVE BETTER"
Bali Agung Tour (Tour Program) Price is include Comfortable ac car, Petrol, Mineral water, parking ticket, driver meal, sarong to enter the temples and English speaking driver, excludes your meals,your entrance ticket or other expenses. We provide english speaking driver not a guide, we will provide Bali Guide on request and extra charge for guide fee will apply. contact us for detail ! Tour price will be changed depend of participant and different tour route. Bali Tour Program ,Tourist Object can skip or add, as long as located in the same direction, there is an extra charge if the tourist object located in different direction/route. Extra Charge will inform later based on tourist object added. 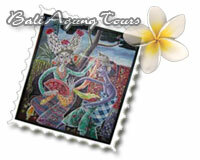 Other Bali Activities booked through Us, www.bali-agung-tours.com guarantees that you will have the quality of services from the activities, hotel or others operators as stated in this service. The quality of services is fully depends on the prestige of Operators chosen and shall be fully responsible for its services to the customer. Travel Insurance is recommended during your Bali Trips. It will cover medical issues, in case an accident might occur during your Bali trips. We take no responsibility for any cost or liability in case of an injury during your Bali Tours. When you confirmed the deal ( Package, tour program, activities etc). Its mean you are cleary understand what is include and exclude. Don't hesitate to cantact us by phone (0361) 461656 or by email at agung@bali-agung-tours.com for detail information before confirming your deal. We accept Credit Card ( VISA, MASTER CARD ),Currency in Rupiah 3 % feea dded on the amount of transaction. We accept Payment Through PAYPAL please contact us for detail information and paypal address. We accept Western Union , please contact us for Beneficiary Information.